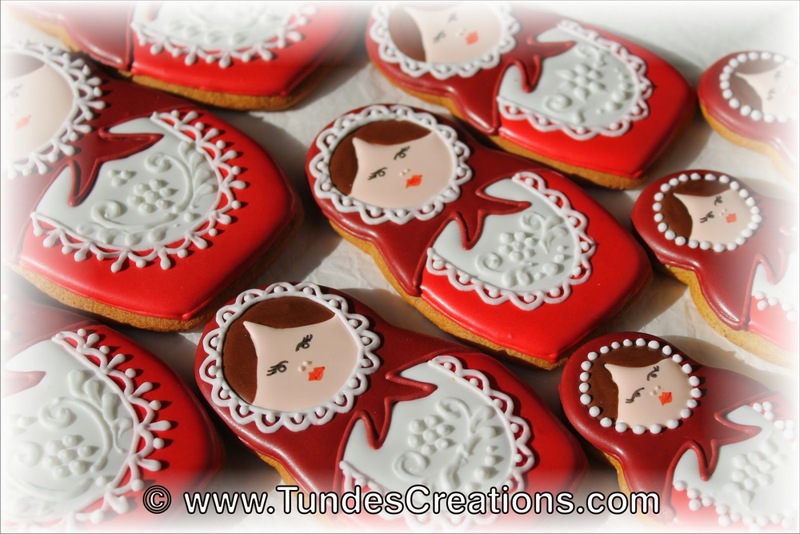 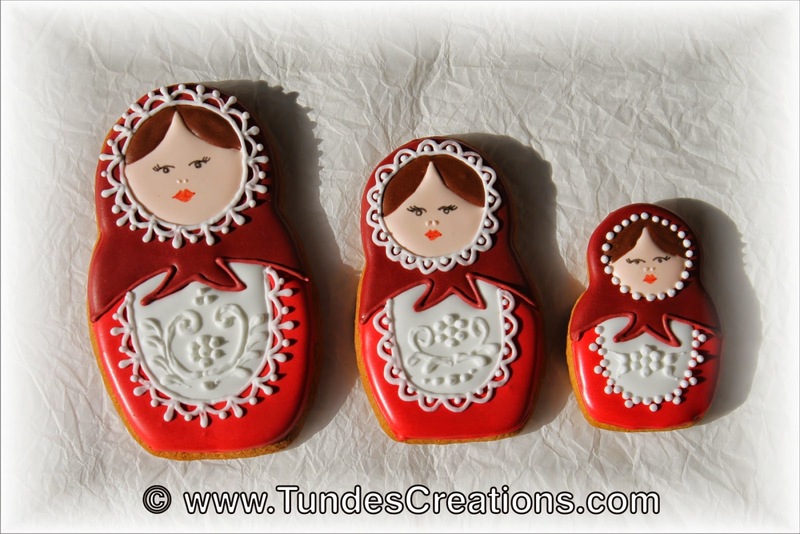 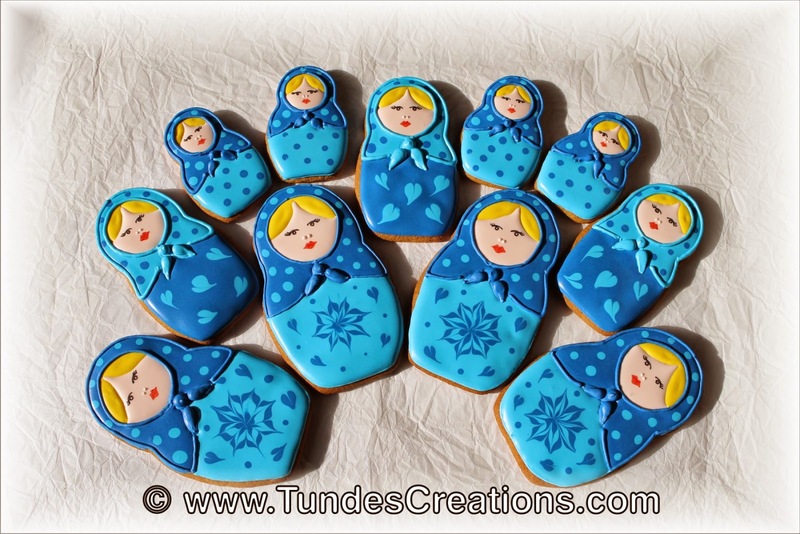 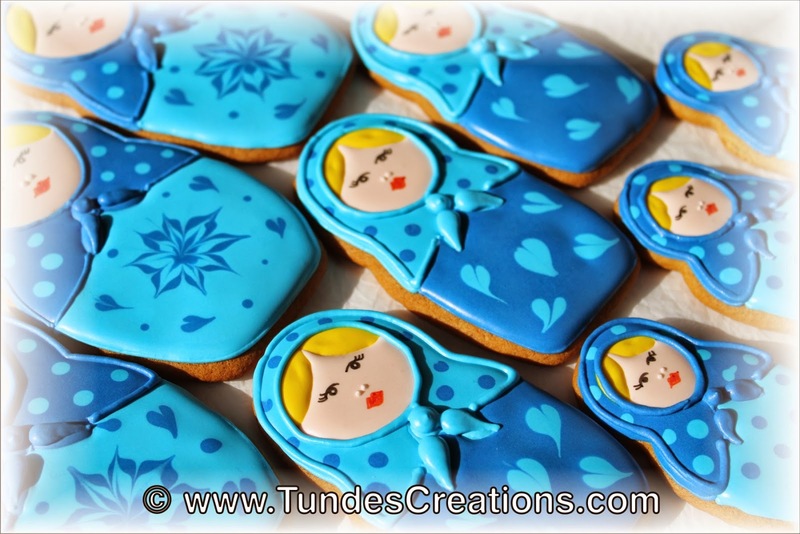 The last set of the Russian collection is the matryoshka doll cookie set. 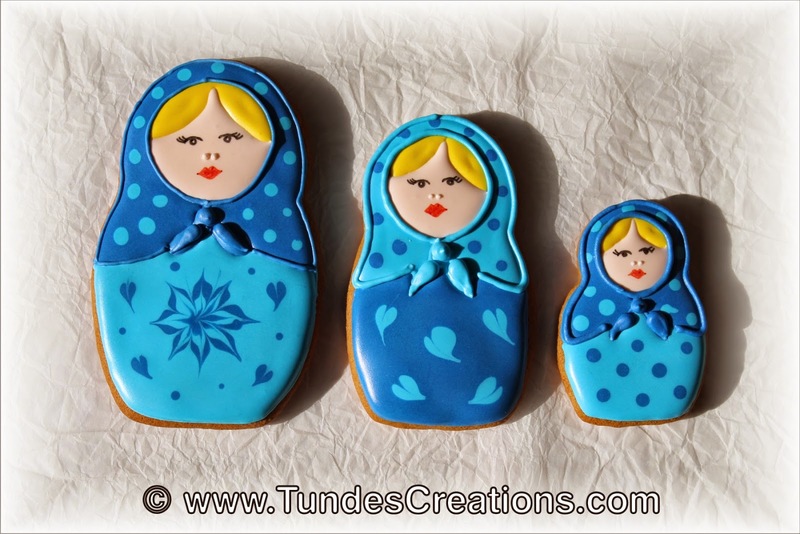 A matryoshka doll, also known as Russian nesting doll or babushka doll, refers to a set of wooden dolls of decreasing size placed one inside the other. 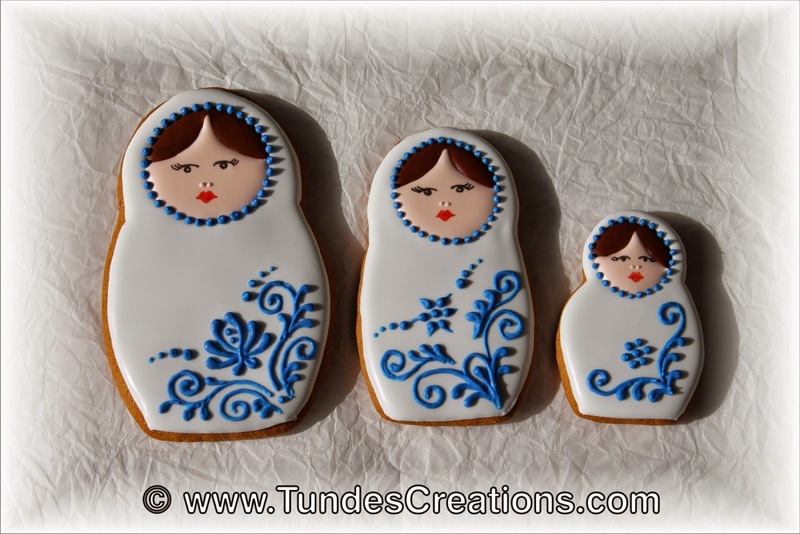 The first Russian nested doll set was carved in 1890. 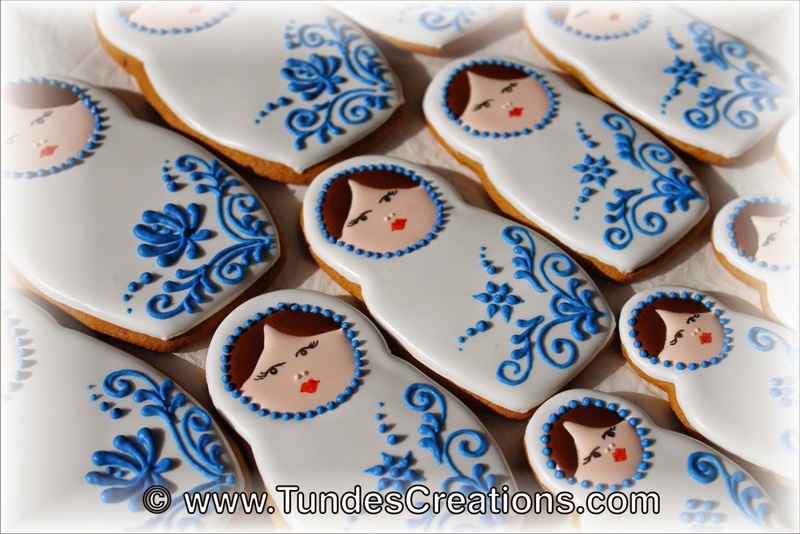 Traditionally the outer layer is a woman and the figures inside may be of either gender; the smallest, innermost doll is typically a baby turned from a single piece of wood. 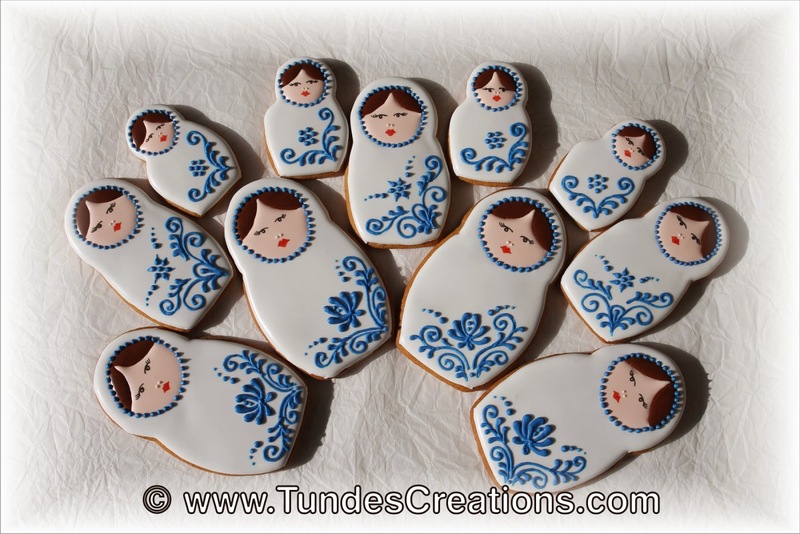 Much of the artistry is in the painting of each doll, which can be very elaborate. 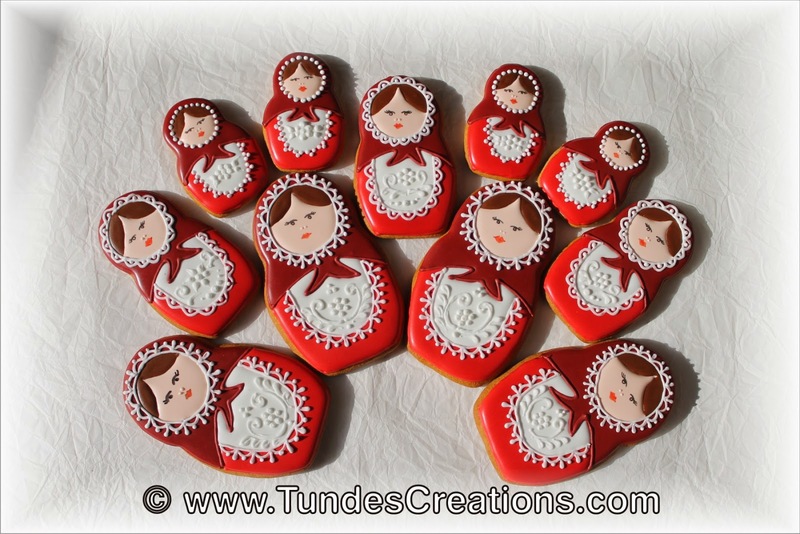 The dolls often follow a theme; the themes vary, from fairy tale characters to Soviet leaders.